Ubisoft is offering the acclaimed RTS World in Conflict now through December 11th. They will then release Assassin's Creed: Black Flag for free from December 12 through the 18th. Ubisoft is certainly in the giving mood. After running a giveaway for their hit PC title WATCH_DOGS last month, the French gaming tour de force is back at it again. Ubisoft is offering World in Conflict: Complete Edition for free now through December 11 and will offer Assassin’s Creed: Black Flag for free December 12 through December 18. The main “gotcha” for these giveaways is that the games are only available for free through Ubisoft’s Uplay service, which will require creating an account if you don’t already have one. Uplay is similar to most other game storefronts like EA’s Origin or the ubiquitous Steam service from Valve. However, Uplay has been maligned in the past for its less-than-stellar connection reliability, ever-present DLC requirements, and other buggy behavior. Ubisoft is giving these titles away to celebrate the 10-year anniversary of the World in Conflict and Assassin’s Creed series. World in Conflict received critical praise upon its release 10 years ago, and the Assassin’s Creed titles are routinely surrounded by high anticipation. Assassin’s Creed: Black Flag is one of the better-received titles in the series and introduced some fun elements, like naval combat. World in Conflict: Complete Edition will be available through Uplay until December 11, 5 AM (EST). 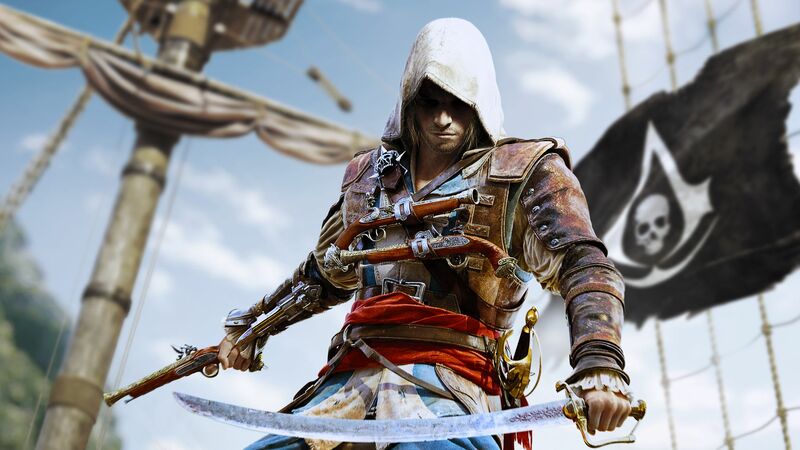 Assassin’s Creed: Black Flag will be made the following day at 9 AM (EST) until December 18 at 5 AM (EST). Just in time for the holiday season, Ubisoft is celebrating two big anniversaries by giving players the chance to download Assassin’s Creed IV Black Flag and World in Conflict on Uplay PC for free. It’s been ten years since the release of critically acclaimed real-time strategy game World in Conflict, so from December 4 (9AM PST) through on December 11 (2AM PST), you’ll be able to download World in Conflict and its expansion (Soviet Assault) for free. Then, in honor of the tenth anniversary of the first Assassin’s Creed game, you’ll be able to get Assassin’s Creed IV Black Flag for free from December 12 (6AM PST) through December 18 (2AM PST). As long as you download the games through Uplay during their free periods, they will be yours to keep and play whenever you like. Developed by Ubisoft Massive, World in Conflict is an RTS set in an alternative history in which the Soviet Union invades the United States in the late 1980s. You play the role of an American commander tasked with marshaling air and ground units in skirmishes ranging across the U.S. (and into the U.S.S.R. in the Soviet Assault expansion). Learn the strengths and weaknesses of your armies, then leverage them as you wage war on destructible battlefields in the solo campaign or in online multiplayer. In Assassin’s Creed IV Black Flag, you are Edward Kenway, a pirate out to make a name for himself on the tumultuous Caribbean seas by sailing your ship among the isles in search of plunder, attacking enemy vessels, and diving below the waves for lost treasures. Become embroiled in the conflicts of the era and discover your connection to the series’ age-old struggle between the Assassins and the Templars. Set yourself up for a holiday filled with fun and free games by downloading World in Conflict and Assassin’s Creed IV for free this December, and keep up with the latest from Ubisoft by checking out our previous coverage.